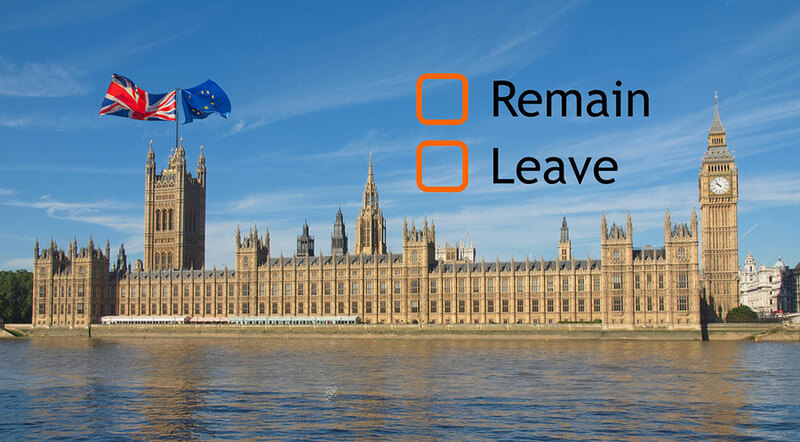 RDO / News / The UK’s EU referendum – are we In our Out? With the UK’s EU referendum bearing down fast on us here, I decided to use this blog to set out my own personal views on the upcoming decision. Aware of the fact that some weeks ago the Head of the Chambers of Commerce in the UK had to resign after coming out in favour of exit , I approached this decision with a degree of caution, nevertheless emboldened by the fact that RDO has already made it clear that it supports remaining and indeed we added our name to another 200 organisations supporting this position – published in the FT and Sun some weeks ago. I also know that some of RDO’s UK members strongly support Brexit and indeed we have had some lively discussions on this over the past weeks. I should here declare an interest – I did once (many years ago) work at the EU Commission for some 6 months as a stagiare (intern) in the Legal Service. Some of you will probably think that this fact explains a lot! Contrary though to popular belief, Brussels does not house a vast bureaucracy, bearing in mind it is working for 27 Member States – all with different language requirements and as far as I am aware is not intent on taking over the world. I am old enough unfortunately to remember the last Referendum campaign and actually went to one of the pro-Europe meetings in Leicester, where I remember some of the “big beasts” of both the Conservative and Labour parties were speaking. I have to confess to being an ardent pro-European at that time. Now I am (I like to think) that much wiser and undoubtedly less idealistic – you can’t work in areas dealing with EU commercial and consumer legislation, without acquiring a degree of cynicism about some of it and a desire on occasions that it would just stop! At the end of the day however just getting 27 Member States to work together and march generally in the same direction is a pretty good achievement! OK so these are not exactly decisive points I am making here, and you constantly here people asking for the facts supporting both sides, The Government did of course issue a booklet on the facts and figures regards staying in but suspect that was filed horizontally by most households – it wasn’t the most riveting of documents! I have however heard nothing on the Brexit side remotely approaching hard facts and figures supporting their case – except probably the ridiculous assertion that 72m Turks were about to come here (even that figure was wrong the population is I believe nearly 80m and who is going to live in Turkey once it’s empty??!). Big opportunity for RDO developers? Discussions over Turkey joining the EU have been dragging on since I was a young and eager stagiare in Brussels, that was some 20 years ago – I suspect in another 20 years those discussions will still be ongoing. To a large extent I believe EU membership has become part of our lives and whilst it needs reforming – what institution doesn’t – walking away is not a solution, nor something the UK has done in the past. I worry still that the decision on 23rd June could be decided by those over 45 – mainly because they are more motivated to vote (perhaps we should be like the Australians and make voting compulsory), getting the under 35’s to turnout and vote is going to be key as the polls show they are more inclined to vote remain, many of them (including mine), are puzzled as to why this is even an issue – they have grown up with the EU and merely see it as part of the background to their lives – though with a medical student daughter, she is keen to stay if only to hang on to the Working Hours Directives and who can blame her! At the end of the day, it would not be right for those whose working lives are either run or running out, to make a decision that in the long run has the potential to adversely affect the lives of the next generation.